My friend Bob Azkoul and I met today to sing for the first time the hymn that I wrote entitled “Total Depravity.” Bob composed the tune. I thought his tune fits well with the message of the song. We are still in the process of refining the hymn and its tune. So we welcome your suggestions for improvement. A body with no life within. 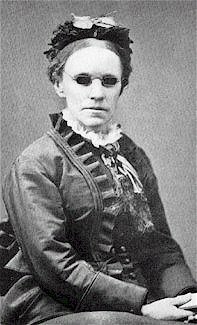 For Satan had destroyed my sight. The gospel sound that was so clear. For, oh, in sin was I conceived! For Satan had captured my mind. By Jesus Christ, the Living Bread. Came new life from His throne above. The gospel light that set me free. My heart sings praise to His glory! Made me alive by His great love. Hallelujah, come sing with me! Here’s the musical piece (first draft), manually prepared by Bob Azkoul. This week’s winter storm is definitely the worst one that I’ve ever experienced in the thirteen years that I’ve lived in Michigan. And winter is not yet over; more snow is predicted to come. Consequently, many feel tired of the snow. Many (including myself) cannot wait for the spring. But before the snow melts, let me share some of my reflections on snow. First, I thank God for giving me the opportunity to live in a place where it snows. When I was in the Philippines, Mexico, and Australia, I met people who have never seen snow in their lifetime, and who want to witness a snowfall. Of course there are countless of other peoples around the globe who would love to see snow, too. Thus, if you live in an area where it snows, thank the Lord for that privilege. Others can only dream of a white Christmas, while you get to experience and enjoy it. I confess the older I get, the lesser I appreciate snow. And I admit many times I complain and say, “Snow again! When will it stop snowing? I’m tired of the snow.” Yet, with God’s help I try to discipline my mind to think of how I can use the presence of snow for my spiritual benefit. How is our attitude toward the weather? When it is cold we complain, when it is hot we do the same. Instead of complaining, why don’t we start counting all our blessings in Christ and name them one by one, that we may be overwhelmed by God’s goodness and burst into praise. Count your blessings, see what God hath done. The Odes of Solomon, considered to be the earliest Christian hymnbook, contains more than forty odes (lyric poems intended to be sung). In this post I will examine one of these odes which is entitled “The Cup of Milk.” This ode is listed as number 19 in The Earliest Christian Hymnbook: The Odes of Solomon (2009) translated by James H. Charlesworth. The text for “The Cup of Milk” as cited in this post is taken from this book. The cup of milk was offered to me. The Son is the cup. And the Father is He who was milked. And the Holy Spirit is She who milked Him. Thus, what the Odist is most likely saying is that the Son—who is often portrayed as the Word in the Odes—is “the cup of milk” which he drank (an expression that seems to have been borrowed from the Eucharist). Who offered the cup or the Son to the Odist? From stanzas 2 to 5, we know that the cup of milk (i.e., the Son) came from the breasts of the Father and that it was the Holy Spirit who milked the Father. That is, it was the Holy Spirit who drew the Son out of the Father’s breasts and gave him to the world. And mixed the milk of the two breasts of the Father. And those who have received (it) are in the perfection of the right hand. So, it was the Holy Spirit who offered the Son to the Odist. And the Odist did not reject this offer; but rather, he received it “in the sweetness of the Lord’s kindness.” His acceptance of the offer only intensifies the claim of scholars that the Odist was “most likely a Jew who came to believe in Jesus’ Messiahship” (Preface, xii). And because he drank the milk, which is another way of saying, because he believed in the Son, he was “in the perfection of the right hand” of God. As the fifth stanza says, “And those who have received (it) are in the perfection of the right hand.” Commenting on the term “right hand,” Richard S. Hess states, “The right hand can be used interchangeably with the hand in poetic texts (Judges 5:26; Psalm 74:11). The hand of God, and especially the right hand, is also understood as a place of salvation, refuge, and protection (Psalm 16:8)” (Baker’s Evangelical Dictionary of Biblical Theology, s.v. “Hand, Right Hand.”). Therefore, having believed in the Son, the Odist is now in the place of salvation, safe and secure. While the name “Jesus” never appears in the entire Odes, no doubt the Son in whom the Odist put his faith was none other than Jesus Christ. And his message that salvation is through faith in the Messiah is consistent with the teaching of the Scriptures. Second, according to stanza 3, when the Father’s “breasts were full,” the Holy Spirit milked the Father. Notice, it was when the Father’s breasts became full with milk that the Spirit milked the Father. The idea of fullness echoes what Paul has written in Galatians 4:4: “But when the fullness of time had come, God sent forth his Son, born of woman…” The last six stanzas of the ode focus on the virgin who gave birth to the Son. No one can deny that in these stanzas the Odist is thinking of the biblical tradition that Jesus was born of Virgin Mary. Yes, the Odist penned Ode 19 before the formation of the New Testament canon; and thus as Charlesworth asserts, “we should not expect the Odist, as a poet, to quote from these [New Testament] documents. Yet, scholars have rightly perceived traditions preserved in the New Testament are evident in this Hymnbook” (Introduction, xxvii). The tradition that Jesus was born of a Virgin in Ode 19 is a proof of this. The womb of the Virgin took (it). Because it did not occur without purpose. Because He allowed her to give life. She bore with desire as a strong man. And she possessed with great power. And she loved with salvation. And she guarded with kindness. And she declared with greatness. Third, stanza 3 tells us that the releasing of the milk from the Father’s breasts was not without purpose. The Holy Spirit did not take the Son and send him to sinners without purpose. What was the purpose of the giving of the Son to the world? The answer is found in stanza 5—so that those who receive the Son might be saved. And in the Odist’s mind, the Son, the long-awaited Messiah, has already come. Charlesworth mentions that the “beauty of the Odes seems to lie in their spontaneous and joyous affirmation that the long-awaited Messiah has come to God’s people” (Introduction, xvi). As such, the Odes are a means of apologetic response to those who still wait for the first coming of the Messiah. Finally, Ode 19 clearly acknowledges the existence of the Trinity—the Father, the Son, and the Holy Spirit. Yet, interestingly the Odist regards the Holy Spirit as feminine, referring to him with the pronoun “she”: “the Holy Spirit is She who milked Him.” Perceiving the Spirit to be feminine was typical though among “Christians who worshipped in Aramaic and Syriac (Introduction, xxxiii).” The KJV, on the other hand, occasionally uses the pronoun “it” to refer to the Holy Spirit (Jn. 1:32; Rom. 8:16 & 26). That the Spirit is sometimes referred to as neuter does not mean, of course, that he is neuter. Someone puts it this way: “while the Holy Spirit is neither male nor female in His essence, He is properly referred to in the masculine by virtue of His relation to creation and biblical revelation. There is absolutely no biblical basis for viewing the Holy Spirit as the ‘female’ member of the Trinity.” Nevertheless, the Odist’s feminine description of the Holy Spirit may be due to his desire to portray the Spirit as gentle, sweet, compassionate, and caring—traits that have universally been considered as feminine. And if this supposition is true, the Odist should be appreciated for his desire to emphasize the aforementioned traits of the Holy Spirit. Note: Amazing Grace, a part of the series called “Stories behind Favorite Hymns for Ages 3 to 6, is now available through Reformation Heritage Book. Here’s my interview with Chris Fenner about his edited book The Psalms, Hymns, and Spiritual Songs of Isaac Watts. Frisco, TX: Doxology & Theology Press, 2016, 641 pp., hardcover. 1. Can you please tell us more about yourself and the occasion in which you edited this book? I am the Digital Archivist in the archives office of Southern Baptist Theological Seminary (SBTS). My job in general is to digitize and preserve old media formats (audio and video tapes, LPs, etc. ), but my academic research specialty is hymnology. I am also a minister of music at Green Street Baptist Church in Louisville, Kentucky. I have worked at SBTS for eleven years now, starting when I was a graduate student in the worship arts program. I finished that degree in 2011, then completed a Master of Library and Information Science degree from the University of Kentucky in 2017. In 2016, Matt Boswell, director of Doxology & Theology Press, had been preparing a new edition of hymns by Isaac Watts, and he asked my colleague Esther Crookshank to write a foreword for it. Crookshank shared a draft of the project with me, and upon examining the work, I had several ideas for how it could be improved, so I got in touch with Matt and persuaded him to allow me to help him craft the book into something that would reflect the highest standards of scholarship possible, something that would really stand out from what other publishers had done before. For the work, I was able to examine digital copies of Watts’ original collections. We included both of his original prefaces (this is really two books in one volume, Hymns and Spiritual Songs with the Psalms of David Imitated). We included all of Watts’ original footnotes for the Psalms, which explain his methodology and theology. We added some detailed indices, with pastors worship leaders in mind. We also included a set of tunes that had never been reproduced in any edition of Watts over the last 250 years. The whole project is a major improvement over any other edition of Watts currently on the market. 2. Who was Isaac Watts and why did he write his hymns? Isaac Watts was a pastor in the dissenting tradition (Protestant, separate from the Church of England). Watts had some serious concerns about the condition of congregational singing in his time. In Protestant churches, the norm had been to sing only from the Psalms and a few select passages from the New Testament (like the Song of Simeon, for example). If people are only singing from the Old Testament, then they are singing an incomplete theology, and a theology rooted in the Old Covenant. Watts found this unacceptable, for good reason. So for his poetic translations of the Psalms, he wanted to infuse the texts with New Testament ideas, making connections to the work of Christ, as if David had been a New Covenant believer. In this regard, Watts was charting new territory. Watts also wrote new hymns intended for congregational singing, for similar purposes, because he felt the Psalms weren’t enough for a well-rounded theology. All of this came at a point in time in which Protestants had been debating about whether it was OK to sing hymns in church, because when people start writing their own songs, doctrinal error can creep into the church. People had written hymns and poems before (George Herbert was very well loved in the previous century, for example), but Watts was so good at what he did, that people embraced his hymns and abandoned the strict adherence to the Psalms. 3. What are the key features of his hymns? In addition to his infusion of New Testament theology in the Psalms, Watts strove to make his texts understandable to the average worshiper by using plain language and avoiding complicated terminology. Even though he wasn’t happy with the pre-existing tradition of Psalm singing, he wrote his hymns in such a way that they could be sung using the old Psalm tunes. This meant most of his texts fit into three different syllabic structures: common meter, long meter, and short meter, with some other exceptions. This is partly why his hymns have endured, because they are easily understandable and singable. 4. What are the weaknesses and strengths of his hymns? If his hymns have any weaknesses, it would be because the English language has evolved, and the world has evolved, so Watts isn’t able to keep pace with all of the issues and perspectives that worshipers face today. In his day, his language was plain and simple, but in our day, his language can be a little antiquated at times and require some adjustment. His hymn “Jesus shall reign where’er the sun,” for example, is written from the perspective of someone who lived in a time of Colonialism and Imperialism, in which he was able to write about other nations being “barbarous.” Others are written very much from a British perspective and don’t work in other contexts. 5. Of all his hymns, what is your favorite? And why is this one your favorite? My eyes get watery and my soul burns just thinking about it. I recently finished a new edition of Charles Spurgeon’s Our Own Hymn Book for Matt Boswell at Doxology & Theology. It hasn’t yet gone to press, but it is going to be a beautiful, scholarly book, full of great insights into Spurgeon and the hymns that he loved. This past summer, I launched a new website, HymnologyArchive.com, for the serious hymn lover and scholar, offering a visual history of great hymns, full of the best scholarship that simply isn’t available anywhere else. It’s still new and still growing; I add material almost every day. Lastly, I am compiling and editing a new collection of essays related to the hymns of Charles Wesley, featuring contributions from many gifted scholars, to be published next year by Biblical Spirituality Press. 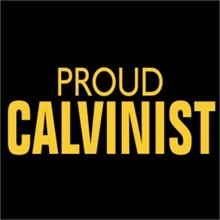 Indeed, a proud Calvinist is a combination of two terms that have opposite meanings. A true Calvinist is one who humbly submits to God’s sovereignty. A proud person is one who places himself above God. A Calvinist prays with the tax collector, “God, be merciful to me, a sinner!” A proud person prays with the Pharisee, “God, I thank you that I am not like other men, extortioners, unjust, adulterers, or even like this tax collector” (Luke 18:11-13). I think the aforementioned question arose out of a concern that some of those who have discovered Calvinistic theology have become proud of themselves. What does a proud Calvinist look like? A proud Calvinist looks down on those who are not Calvinists. He thinks that he is superior to them. And when he refutes their unscriptural doctrines, he does so very sarcastically. He acts like the unbelieving criminal, who railed at Jesus, saying, “Are you not the Christ? Save yourself and us! (Luke 23:39). Likewise, when he defends his faith, he does so with harshness and disrespect. This proud Calvinist should learn from Peter: “honor Christ the Lord as holy, always being prepared to make a defense to anyone who asks you for a reason for the hope that is in you; yet do it with gentleness and respect” (1 Peter 3:15). When men secretly please themselves to think it is known what a stock of books they have; or when they take more pleasure in the number of, than the matter contained in their books. When they buy books rather to make up a number, than to learn to be good and godly men thereby. When, though they own their books to be good and godly, yet they will not conform thereto. A proud Calvinist is only concerned with theology (the study of God); he does not care about piety (the practice of godliness). For instance, with great diligence he reads a lot of books on reformed theology but only to increase his knowledge, so that he can show to others how theologically intellectual he is. This proud Calvinist should realize that the Reformers as well as the Puritans did not only write to inform the head (know God) but to touch the heart (love God) and move the hands (serve God). In fact, the very purpose of John Calvin in writing the Institutes, his great theological work, was “solely to transmit certain rudiments by which those who are touched with any zeal for religion might be shaped to true godliness.” In short, Calvin wrote to promote what John Murray called “intelligent piety,” spirituality that is rooted in Scripture. In Calvinism, theology and piety are inseparable. The study of God prompts the practice of godliness. Are you a proud Calvinist? Does your study of reformed theology produce piety in your Christian life? Does your study make you love Christ more and hate sin more? Pray with Robert Murray M’Cheyne, “Lord, make me as holy as a pardoned sinner can be.” Remember, a true Calvinist is marked by piety not pride, humility not haughtiness. John Bunyan, “A Holy Life,” in The Miscellaneous Works of John Bunyan, vol. 9, gen. ed. Roger Sharrock (Oxford: Clarendon Press, 1981), 324. Bunyan, “A Holy Life,” 324. John Calvin, Institutes of the Christian Religion, ed. John T. McNeill and trans. Ford Lewis Battles (Philadelphia: Westminster Press, 1960), 1:9. It seemed intended by the blessed Providence of God, that I should be blind all my life; and I thank Him for the dispensation. I was born with a pair of as good eyes as any baby ever owned; but when I was six weeks of age, a slight touch of inflammation came upon them: and they were put under the care of a physician. What he did to them, or what happened in spite of him, I do not know, but it resulted in their permanent destruction, so far as seeing is concerned; and I was doomed to blindness all the rest of my earthly existence. This sounds strangely to you, reader? But I assure you I mean it—every word of it; and if perfect earthly sight were offered me to-morrow, I would not accept it. Did you ever know of a blind person’s talking like this before? Why would I not have that doctor’s mistake —if mistake it was—remedied? Well, there are many reasons: and I will tell you some of them. One is, that I know, although it may have been a blunder on the physician’s part, it was no mistake of God’s. I verily believe it was His intention that I should live my days in physical darkness, so as to be better prepared to sing His praises and incite others so to do. I could not have written thousands of hymns—many of which, if you will pardon me for repeating it, are sung all over the world— if I had been hindered by the distractions of seeing all the interesting and beautiful objects that would have been presented to my notice. Another reason is, that, while I am deprived of many splendid sights (which, as above mentioned, might draw me away from the principal work of my life), I have also been spared the seeing of a great many unpleasant things. The merciful God has put His hand over my eyes, and shut out from me the sight of many instances of cruelty and bitter unkindness and misfortune, that I would not have been able to relieve, and must simply have suffered in seeing. I am content with what I can know of life through the four senses I possess, practically unimpaired, at eighty-three years of age. Hearing, tasting, smelling, and feeling, are still felt, in their fullest degree. 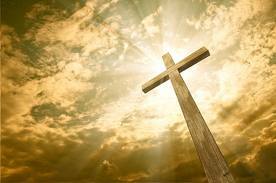 Observe also that for Paul the preaching of the cross and the preaching of the gospel are one. In 1 Corinthians 1:18 we read, “For the word [or the preaching] of the cross is folly to those who are perishing, but to us who are being saved it is the power of God.” According to this verse, the cross is “the power of God,” and according to Romans 1:16, the gospel is “the power of God for salvation to everyone who believes.” Hence, here the cross and the gospel are the same. What is the gospel? Interestingly, in Mark 1:15 Jesus speaks, “[R]epent and believe in the gospel” and you will be saved. Then when the Philippian Jailer asked Paul and Silas, “Sirs, what must I do to be saved?” they replied, “Believe in the Lord Jesus, and you will be saved…” (Acts 16:30-31). Notice that Paul and Silas did not say, “Believe in the gospel,” but instead “Believe in the Lord Jesus.” Note also that Jesus says, “[B]elieve in the gospel,” and not “believe in me.” Here then we see that the gospel and Jesus Christ are essentially synonymous. The gospel is Jesus Christ. Jesus Christ is the gospel. Here’s the key: in the Bible the terms cross, gospel, and Christ are sometimes used interchangeably.